Deep in the Game Ep 1 - Putting, now with subtitles! The first episode of our instructional video series "Deep in the Game" was launched just a little over a week ago and it has already gathered over 16 000 views! A big thanks to all of you who have helped us spread the word. We believe information on how to improve your game should be free and accessible for everyone. For this reason, and with a little help from friends around the world, we've produced subtitles for the putting episode in English, German, Czech and Finnish. 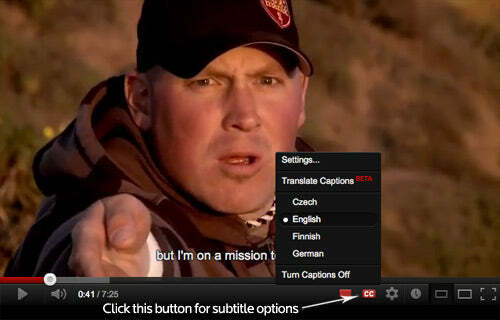 Just click the "cc" button when the video is playing to opt the subtitles best suited for you. Subtitles not available in your language? Help us out! We would like to offer subtitles in every language possible, to help the players that don't speak English. If you think you could help us out by translating the subtitles from English to your language, please send us a message! We will provide you with time-coded text file with the English subtitles from which you can translate the subtitles to your language. If you think you're up for the task and you master a language not yet featured on our subtitles list, contact Janne from our staff at janne.lahtinen[at]innovaeurope.com. In your message, please mention to which language you are willing to translate the subtitles. 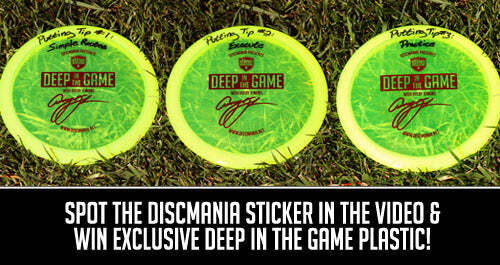 Last Friday we posted about a chance to win exclusive Deep in the Game discs. We've already received a whole bunch of answers, but especially since we are raffling 3 prize discs for those with the correct answer to our contest question, you still have a great chance of winning. All you need to do is to spot a Discmania sticker somewhere in the background and submit the correct time to us. Easy, isn't it? Check out the full rules of competition here for your chance to win! UPDATE: 3 More languages added! Thanks to some very nice people across Europe, we've been able to add Norwegian (Thanks Tor! ), Swedish (Thanks Hasse!) and Dutch (Thanks Mark!) subtitles to the first episode. Awesome! If you are interested in helping us out and making these videos more understandable for people speaking some of the languages not yet on the list, contact us! UPDATE: French & Estonian subtitles added! A big thanks for Gwen and Rene for submitting the translations! View the episode here.